Nile Ranger | NUFC Blog. Archive for category: Nile Ranger. Following on from my piece on the contributions of our defenders and utilty players this season, let’s carry on with our assessment of Newcastle’s players with a view to deciding who is our Player of the season. I’ll be moving on the engine room now, and later the forwards. There are undoubtedly a few worthy recipients here! Will Nile Ranger make the most of his second chance? Nile Ranger: A reformed character on the comeback trail? The somewhat unexpected inclusion of Nile Ranger for Newcastle United’s ill fated League Cup encounter with Blackburn signals something a second chance for the young striker. Although he is still way back in the pecking order, with Alan Pardew suggesting in a phone in on BBC Radio Newcastle’s “Total Sport” that even 19 year Sammy Ameobi has overtaken Ranger in the manager’s thoughts, he’s now back training with the first team and that’s a start. It’s cerrtainly something of an improvement on the previous situation, where he found himself completely out in the wilderness with the club simply itching to offload the recently troublesome young gangster striker permannently at the earliest available opportunity. Santon nears first-team fitness and should Colo get a longer contract? Davide Santon looks to be fairly fit after playing the full 90 minutes of a reserve game against Swansea and does Jonas’s interview indicate that Colo is angling for a longer contract? 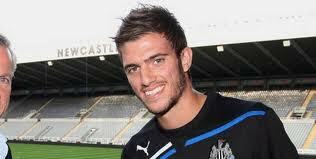 Davide Santon completed the full 90 minutes of our reserve game against Swansea last night, which we won 5-3. Santon only had his knee drained earlier this week and it looks like he’s already reaching a level of fitness that could soon put him in line for a first-team start. Newcastle United’s youth squad has much promise, although recent events might indicate that Nile Ranger isn’t destined to be part of it. If the stories in the press are true, it seems that Nile Ranger is once again in hot water and this time it’s a bit more serious than an ill-informed pose with an allegedly replica handgun. Ranger has been arrested on suspicion of assault after a 33 year-old victim was found with a broken jaw in the Groat Market in Newcastle. Ranger is currently “helping police with their enquiries”, which is police talk for “being interrogated to see if he’ll ‘fess up” and if he’s charged and subsequently found guilty he could face prison. There were rumours that Ranger had been transfer-listed earlier in this transfer window and I get the impression that both the manager and the boardroom hierarchy were running out of patience with his indiscipline and allegedly casual approach to training anyway, but this latest escapade could, I believe, see the end of his prospects as a professional footballer. 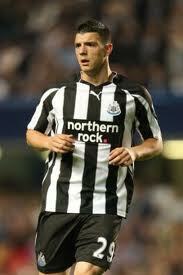 Alan Pardew thinks Newcastle United’s upcoming tour of America is the ideal preparation for the new season. Alan Pardew has been talking again, which will come as no surprise to anyone, but this time he’s been extolling the virtues of the pre-season stint to the US of A.
It’s mid-season for Americas football (‘soccer’) leagues, so we’ll be facing players who are well into their competitive stride. This will be a hard test of our fitness as we look to complete a yankee triple over Sporting Kansas City, Columbus Crew and Orlando City. “It is not a money-making exercise by any stretch of imagination. “It is purely a break-even tour, which we feel is beneficial for the team.